BEIRUT Syria has destroyed critical equipment for producing chemical weapons and poison gas munitions, the global chemical weapons watchdog said Thursday as fierce clashes raged in the country's north, close to one of the sites where toxic agents are believed to be stored. Also Thursday, a Syrian activist group said more than 120,000 people have been killed since the start of the country's civil war nearly three years ago. The announcement by the Organization for the Prohibition of Chemical Weapons came one day ahead of the Nov. 1 deadline set by The Hague-based organization for Damascus to destroy or "render inoperable" all chemical weapon production facilities and machinery for mixing chemicals into poison gas and filling munitions. The completion of what is essentially the initial stage of destruction is a significant milestone in an ambitious timeline that aims to destroy all of Damascus' chemical weapons by mid-2014. Destruction of the equipment means that Syria can no longer produce new chemical weapons. However, Damascus still has to start destroying existing weapons and stockpiles. The country is believed to have around 1,000 metric tons of chemicals and weapons including mustard gas and the nerve agent sarin. The announcement came as fighting raged Thursday in the town of Safira, which experts say is home to a chemical weapons production facility as well as storage sites, reported the Britain-based Syrian Observatory for Human Rights. The activist group, which has been tracking the death toll through a network of activists in Syria, said Thursday that 120,296 people have died. Of those, it said 61,067 are civilians, including 6,365 children. On the government side, it said 29,954 are members of President Bashar Assad's armed forces, 18,678 are pro-government fighters and 187 are Lebanese Hezbollah militants. Also among the dead it said were 2,202 army defectors and some 5,375 opposition fighters, many of them foreigners. On July 25, the U.N. estimated 100,000 have died in the conflict since March 2011. It has not updated that figure since. The conflict has forced some 2 million people to flee the country. Assad's troops have been battling rebels, many of them linked to al-Qaida groups, in Safira for weeks. The Observatory said there were casualties on both sides Thursday but had no specifics. The fighting underscored the dangers the chemical weapons' inspectors face as they race against tight deadlines in their mission to rid Syria of the toxic arsenal in the midst of an ongoing civil war. A statement from the OPCW, which works closely with the United Nations, said its team was "now satisfied that it has verified - and seen destroyed - all of Syria's declared critical production and mixing/filling equipment." It added that, "no further inspection activities are currently planned." 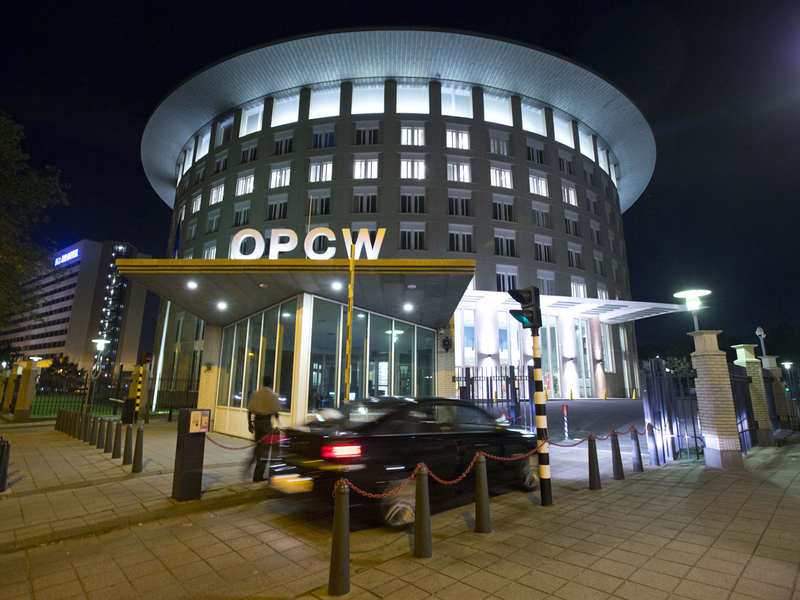 On Thursday, OPCW said the two locations were, according to Syria, "abandoned and ... the chemical weapons program items they contained were moved to other declared sites, which were inspected." It was not immediately clear if the facility in Safira was one of the two sites that OPCW inspectors were not able to visit. "I salute the fortitude and courage you've all demonstrated in fulfilling the most challenging mission ever undertaken by this organization," the watchdog's director-general, Ahmet Uzumcu, said in comments released by the OPCW. Now in its third year, the civil war pits the primarily Sunni Muslim rebels against Assad's government and its security forces, which are stacked with members of his Alawite sect, an offshoot of Shiite Islam. In other developments, the Observatory's chief Rami Abdurrahman said there had been a strong explosion Wednesday inside an air defense facility in Syria's coastal province of Latakia. The cause of the blast was not known, he said.